Seeking the Soul. Photo courtesy of Gulfstream Park. Grade 1 winning millionaire Seeking the Soul and multiple graded-stakes placed True Timber, most recently second in the Cigar Mile (G1), are both headed to the $9 million Pegasus World Cup Invitational (G1) Jan. 26 at Gulfstream Park. Bred and owned by Charles Fipke, Seeking the Soul kicked off his 2018 campaign running fifth in the second edition of the 1 1/8-mile Pegasus in January, won by Horse of the Year Gun Runner in his career finale. 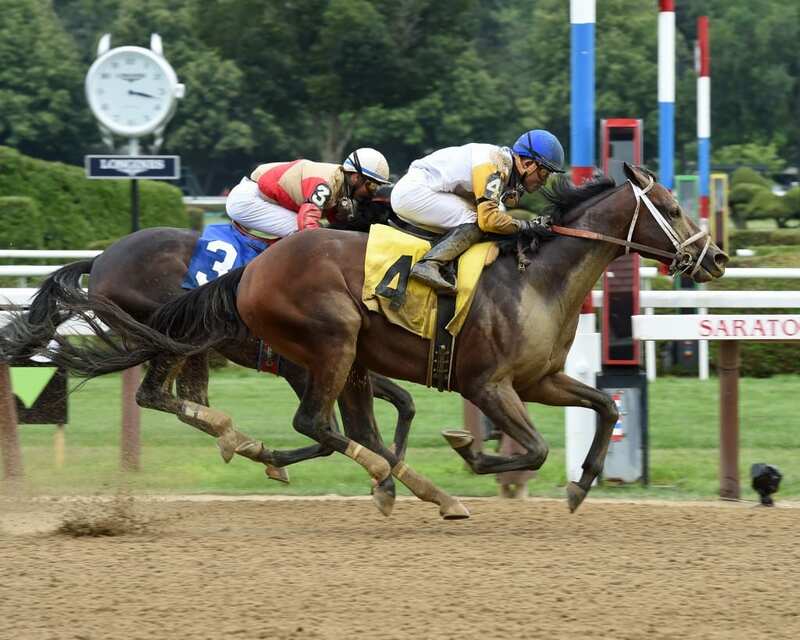 He has placed in four of five subsequent starts, all in stakes, topped by a victory in the Ack Ack (G3) Sept. 29. He was beaten 2 ¾ lengths by City of Light when second in the Breeders’ Cup Dirt Mile (G1) prior to running third in defense of his 2017 triumph in the Clark Handicap (G1) Nov. 23. Seeking the Soul returned to the work tab Friday morning for the first time since the Clark, going four furlongs in 51 seconds at Fair Grounds. True Timber is the second horse owned by Calumet Farm to be targeting the Pegasus. Earlier this week, Hall of Fame trainer D. Wayne Lukas said Preakness Stakes (G1) runner-up Bravazo, second in the Clark and third in the Dirt Mile, was Pegasus-bound. True Timber was second in the Bold Ruler (G3) prior to the Dec. 1 Cigar Mile, both at Aqueduct, and before that won back-to-back optional claiming allowances at Belmont Park three months apart. He has placed in five career stakes, four graded. Based at Palm Meadows, Gulfstream’s satellite training facility in Palm Beach County, McLaughlin is a two-time winner of the Pegasus’ predecessor, the Donn Handicap (G1), with Albertus Maximus (2009) and Horse of the Year Invasor (2007).